Aging is inevitable and we can’t change it. But what if you are aging faster and looks like older than you really are. And that’s a big problem! 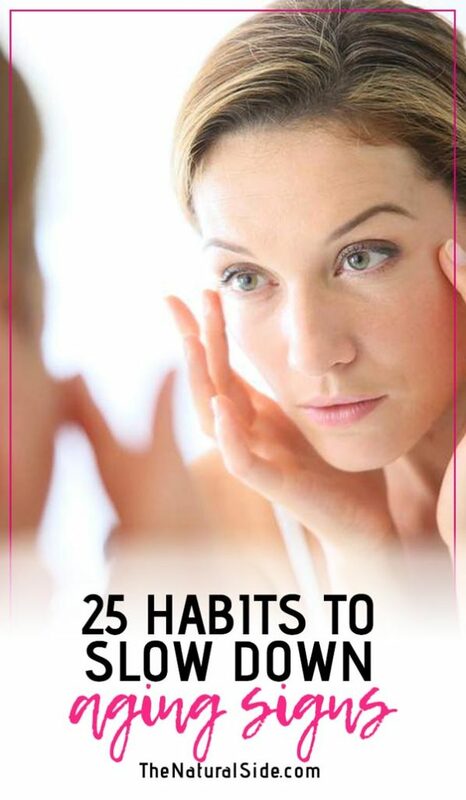 Further, in this article, you will find 25 anti aging habits that can help you to not look and feel older than your years. Although aging is a natural process and genetics is one of the reasons that age you. But still, there are many factors that contribute to premature aging. Your poor lifestyle and bad habits may be at fault. There are many unhealthy habits that can accelerate your skin aging process. Your skin cells age faster and lead you to early aging signs such as dull-glowless skin, wrinkles, dark spots, dark circles, saggy and dry skin etc. Relying on a healthy lifestyle would be your strong step towards a healthy long life. If you don’t know how to live a healthy lifestyle? Earlier we wrote a detailed guide on the healthy lifestyle with 17 simple steps that will help you to begin your healthy journey now. It is extremely important to determine the common habits that heavily linked to aging. 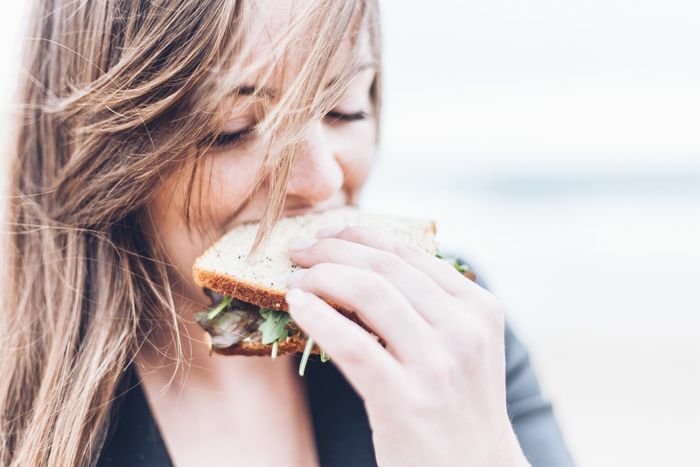 Say goodbye to unhealthy habits first and start including some of these healthy habits in your lifestyle to reverse the aging process. Eating too much meat instead of vegetables and fruits can cause premature aging. According to a study, eating red meat raises the risk of cancer and other health problems including obesity, Heart Diseases, Cancer, Diabetes. As a red meat substitute, you can bring some healthier protein source in your diet. Legumes, whole grains, nuts etc. For inspiration, you can also follow the British people. A study on British people says, 28 percent meat-eating British have reduced their meat consumption in the last six months. A proper skin care regimen can add years to your skin health. If you really want to glow face like the age of 20, follow a skincare routine according to your skin type. And instead of using chemical based harmful products, switch to natural skin care products. Make a meal plan rich in all the essential nutrients and vitamin. Eat foods rich in protein, fiber, whole grains, healthy fats throughout the day according to meal plan. A number of different studies show that sitting for an extended period is very harmful to your body and health as it increases the risk of heart diseases, high blood pressure. People who sit too much has many side effects on your body. This bad habit slows your metabolism, back and spine injuries, depression, chronic pain etc. To decrease the impact of your bad sitting patterns, you should stand for at least 30 minutes per hour. Sipping too much soda, drinking sugary drinks and beverages may age your body cells age faster, study suggests. According to the University of California, sugar-sweetened drinks links to a number of dangerous diseases such as diabetes, heart attack, stress, obesity etc. According to the Harvard, exercise helps men live longer and better as it keeps your heart healthy, increases HDL cholesterol levels and reduces the risk of cancer. It’s not compulsory to go to the gym for the workout. Just wake up early and start doing some simple exercises at the comfort of your home. Do a number of different exercises from stretching to breathing. With your morning exercise routine, it is also important to do enough physical activities throughout the day. Along with physical activities, mental activities are also very essential to make your life stress free. Overuse of artificial heating systems dries your indoor air. This air makes your skin and hair turn dry too. Too much dryness on your skin can cause fine lines, pores, wrinkles, and skin damages. If you are the one who is watching tv like crazy then this recent research will surely shock you. Scientists suggest, limit TV watching to 2 hours to live longer. Where makeup can help you hide those aging signs and spots, it can also cause premature aging if you are using it in a wrong way. Wearing too much makeup also cause redness, infections, eye irritation, blurred vision etc. Where oil-based makeups can clog your skin pores to cause breakouts, talc-based makeup products can make your skin dry. So try to avoid excessive makeup on your face. And don’t wear makeup while sleeping. Always rely on trusted or natural makeup products. Not only poor body posture causes back pain and problems, but it also makes your physical appearance looks older. A daily healthy routine is very crucial to access all the benefits of what you are doing right. From waking up early to start your day with some stretches, eating nutrition-rich foods to sleeping on time, it is very beneficial to create a daily routine around healthy habits and tasks. Here is a detailed article with 151 habits that can help you to build a healthy routine. Breaks allow your body to get relief from what you are doing. If your job is sitting for hours, leave your desk for walking a few couples of minutes or shift yourself to standing. Ergonomic furniture is growing popular these days to provide you with an option to work comfortably in working hours. Opt for foods which are rich in anti-aging properties and nutrients. Foods like Blueberries, Pineapple, Watermelon, and Avocado are some of the foods that good for skin and hair health. Your sleep position might be making you look older as sleeping on your side and on stomach might cause facial asymmetry, wrinkles, and fine lines. No matter what’s your age, quit smoking as soon as possible. Quitting smoking lowers the risk of many dangerous diseases including cancer, heart attack, and lung cancer. Smoking not only increases the health risk but also has a bad impact on your skin. Drinking alcohol in excess can speed up the aging process. Stop drinking too much or too frequent alcohol. It will really add years to your face. 18. Too Much Sun…No, No! 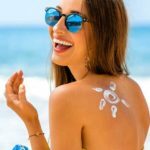 Don’t allow your skin to take excessive skin exposure. Sun’s UV rays are too harmful to your skin as it causes wrinkles, spots, pigmentation, and other skin aging signs. Processed foods such as bread, savory snacks, bacon etc. are not healthy at all. These foods are high in sulfites and use preservatives that can cause skin inflammation and can rev up the aging process. Sleep is essential to rejuvenate and repair your body and skin. So lack of sleep increases the stress hormone levels like cortisol that ages you faster. Always ensure that you are taking enough sleep. A good night’s sleep can help you look younger. Relying on too much coffee can increase the risk of premature aging. Stick to one or two cups or you can swap coffee with the fresh juices and teas. Do you know there are some magic ingredients in the nature that can help you to look young and live longer? And green tea is one of them! Antioxidants present in green tea may slow down the aging of your cells. Green tea has anti-aging antioxidant known as EGCG that fight wrinkles and help neutralize free radicals. There are a number of different studies show that stress causes serious damage to our body cells, which may speed up the aging process. Don’t skip fruits and veggies especially the leafy green vegetables in your diet plan. Eat a diet rich in some vegetables and fruits to promote overall health. Avoid eating too much fried and junk foods as they are not only bad for your heart health but also not good for your skin.